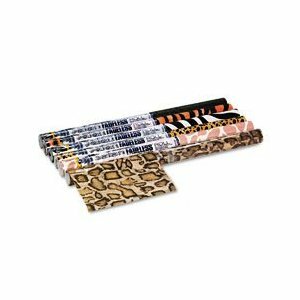 Pacon® Fadeless® Safari Animal Prints Paper. Acid-free and fade-resistant paper is designed for crafts and displays. Textured surface looks and feels like real animal skin. Six assorted patterns: Cheetah, Alligator, Snake, Zebra, Giraffe and Tiger.